Whether you want to take a relaxing stroll or want to get your heart pumping, the Alabama Gulf Coast is a hiker’s paradise. 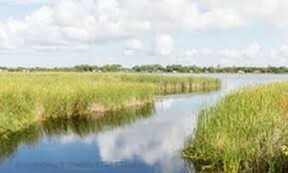 You might even spot an alligator basking in the sun, a white-tailed deer grazing on foliage, a pod of dolphins jumping through the waves or some migratory birds fluttering from tree to tree. 29750 Larry Dee Cawyer Dr. 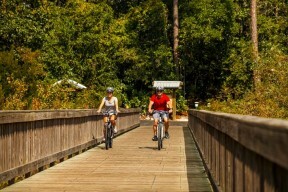 Explore the nine different ecosystems in Gulf State Park from coastal dunes, maritime forests to coastal hardwood swamps. 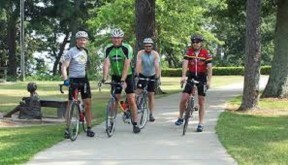 And hike more than 27 miles of paved paths on the Hugh S. Branyon Backcountry Trail. Stop off at the nature center to learn about native plants and see live animal exhibits including snakes, owls, and rabbits. 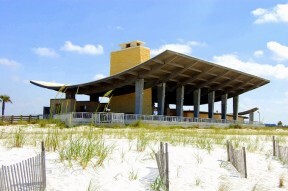 The park also offers guided nature walks, beach walks, pier walks and other educational programs. 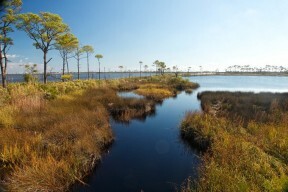 For some unspoiled natural beauty containing a variety of wildlife, check out the Alabama Gulf Coast’s nature preserves and wildlife refuges. Commune with nature at Bon Secour National Wildlife Refuge, view colorful migratory birds through your binoculars along the Alabama Coastal Birding Trail or take in the beauty of the scenic waterways as you walk along the natural shorelines. Breathe in the fresh air and soak up the sunshine while you walk along the different trails. 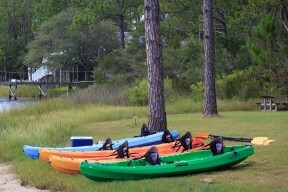 You will want to return to the hiker’s haven to explore everything Gulf Shores and Orange Beach have to offer.